Native Americans around the Chesapeake Bay may have lived hand to mouth in prehistoric times, but they apparently never got so desperate or greedy that they depleted a readily available food source: the estuary’s once-abundant oysters. That’s the upshot of a new study looking at Bay oyster sizes and harvesting activity through the ages, which was published May 23 in the Proceedings of the National Academy of Sciences. Chesapeake oysters, now depleted to 1 percent of what they were a century ago, showed remarkable resilience in the distant past, the authors found, despite intensive fishing, rising sea level and changing climate. “That gives me hope we can find a way to restore oysters,” said Torben Rick, an anthropologist at the Smithsonian Institution’s National Museum of Natural History, and lead author of the paper. He suggested that the researchers’ findings could offer insights for future management of the Bay’s oysters, which have been decimated in modern times by overharvesting, disease and habitat loss. Rick and a multi-disciplinary research team dug into prehistoric shell middens on Maryland’s Rhode River below south of Annapolis and pored over archaeological and modern biological data to assess oyster sizes from the Pleistocene era through modern times. Based on shellfish studies elsewhere, Rick said, they expected to find really big oysters in the distant past, and that their size got smaller over time as bigger bivalves were systematically harvested for food. They did find oyster sizes varied through the ages, but were surprised that there was not a clear, straight-line decline over time. The team found similarities between oyster size distributions in the Pleistocene and in recent years, but large shells exceeding six inches in length were more common in the Ice Age and before. That could be because the MSX and Dermo diseases afflicting modern oysters kill them before they can grow that large, they said, or because watermen are now permitted by regulation to take any oysters three inches or larger. But researchers didn’t find that many small modern oysters in Maryland sites they analyzed, something they attributed to the relatively poor reproductive rates in the fresher upper Bay waters. “Although dramatically reduced in number and recruitment Maryland oysters are still achieving average sizes comparable to those harvested in prehistoric times during the past 3,000 (years),” the study reported. Looking into the past, researchers did see evidence that prehistoric “middens,” or piles of discarded shells, grew over time, which indicated that harvest pressure was increasing. But by all indications, Rick said, oyster abundance remained high. “With limited variability in oyster size and abundance and no systematic evidence for a size decline through time during the period from 3,500 to 400 (years) ago, the Native American Chesapeake Bay oyster fishery appears to have been largely sustainable,” researchers said. Several factors may have kept Native Americans from overindulging, the team theorized. Lacking dredges and large boats, they likely limited themselves to harvesting oysters by hand along the shore, leaving those in deeper water unmolested. And about 1,000 years ago, they began raising maize and other crops, diversifying their food sources and perhaps relying less on hunting and gathering, particularly of shellfish. “It ended up being much more complicated than we originally thought it would be,” Rick said. 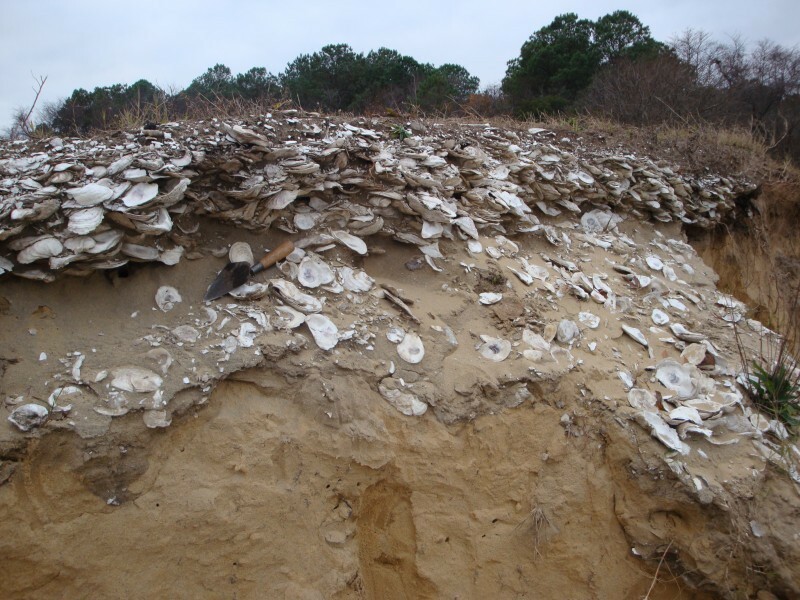 But he suggested that the research team’s multidisciplinary approach, combining paleontology, archaeology, history and marine ecology, offered some unique perspectives on the struggle to restore Chesapeake oysters. Today’s Bay oysters must cope with diseases and poor water quality, in addition to a history of overfishing that not only removed the shellfish but wore down the reefs they need to survive and reproduce, said Denise Breitburg, a co-author and senior scientist at the Smithsonian Environmental Research Center in Edgewater. “These factors have led to the decline of oysters in Chesapeake Bay and are making restoration difficult,” she added. Large-scale efforts are under way now to try to rebuild the oyster population, but they are costly and controversial. Rick suggested those involved in the current restoration efforts might look to the distant past for support, by reducing harvest pressure and leaving large areas of oysters alone. 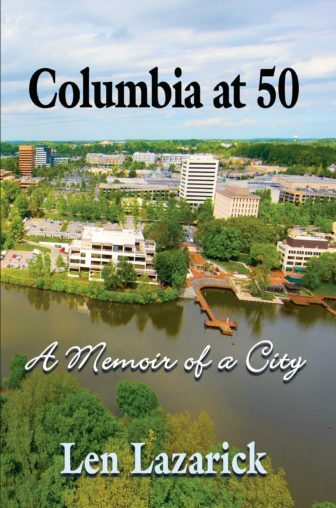 Once a month, Matt Parker and Suzanne Bricker drive along Penny Lane through a Southern Maryland forest until it dead-ends at the Chesapeake Bay. Then, they pull on their waders and hop into a skiff to maneuver out to aquaculture cages, where they grab samples of water and the oysters taking it in. Their results may eventually let oyster growers earn money not only for the bivalves they grow, but also for the water the shellfish clean under the state’s nascent nutrient trading program. But partnerships like Parker’s and Bricker’s won’t be happening in the Chesapeake, or anywhere else, if the Trump administration’s proposed budget is approved later this year. The work is funded by Maryland Sea Grant — one of 33 Sea Grant programs around the nation that help translate science into sustainable coastal economies.